Tezontle, installation view of Tu casa es mi casa, Neutra VDL Studio and Residences, 2017, Los Angeles. Photo: Adam Wiseman. Join the Neutra VDL Studio and Residences, Los Angeles Forum for Architecture and Urban Design, and Archivo Diseño y Arquitectura, for the final viewings and closing event of Tu casa es mi casa. January 13, 2018, 6–9 p.m.
Thursday, January 11, 6–9 p.m.
Saturday, January 13, 11 a.m. –3 p.m.
On view at the Neutra VDL House in Los Angeles through January 13 2018, Tu casa es mi casa features site-specific installations by three Mexico City–based design teams—Frida Escobedo, Pedro&Juana, and Tezontle, and three California-based writers—Aris Janigian, Katya Tylevich, and David Ulin. If our contemporary political moment offers up a border wall as the primary architectural expression of connection between the U.S. and Mexico, Tu casa es mi casa suggests a more porous boundary between the two countries. The title, a riff on the welcoming “my house is your house”, offers the inverted “your house is my house”—an expression of the personal and political stakes of this transposition. Installed in Richard Neutra’s VDL Research House in Los Angeles and in collaboration with Mexico City–based gallery Archivo Diseño y Arquitectura, Tu casa es mi casa grapples with questions about architectural space, mass production, and domesticity within the legacy of modernism. Both Mexico City and Los Angeles absorbed the initial precepts of the international movement and adapted them to singular social-political-environmental contexts. A return to these twin interpretations re-investigates the promises of the utopian project through a contemporary lens. 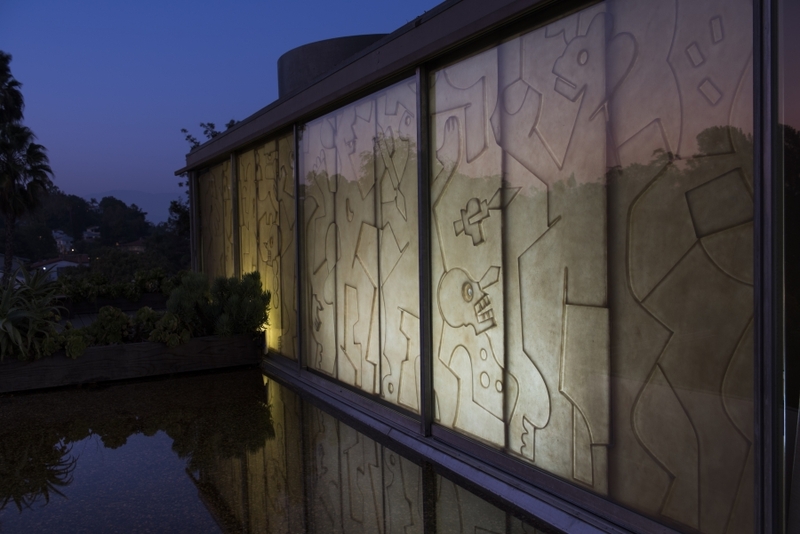 Timed to coincide with The Getty’s Pacific Standard Time LA/LA, the exhibition acknowledges a history of architectural, critical, and literary exchange between California and Mexico, however the curators ask that we not only reevaluate past understandings, but also celebrate the richness of contemporary Mexican design practice today. Tu casa es mi casa is supported by the Graham Foundation for Advanced Studies in the Fine Arts, the Los Angeles Department of Cultural Affairs, Cal Poly Pomona Foundation, Bestor Architecture, Michael Maltzan Architects, NAC Architecture, TEN Arquitectos with additional support from Aesop, Bar Keeper and Mezcal Union, Triview Glass Industries LLC, Cal Poly Pomona Department of Architecture (CPP ARC), SCI-Arc, USC School of Architecture, and Woodbury University School of Architecture. Organizational collaborators: Los Angeles Forum for Architecture and Urban Design, Archivo Diseño y Arquitectura, and the Neutra VDL Studio and Residences. The Neutra VDL Studio and Residences is preserved and managed by the College of Environmental Design (ENV) at Cal Poly Pomona.